* Language Resources: ClearDisk will remove unnecessary language resources from OS X and enable you to reclaim several hundred megabytes of disk space. * Downloads: ClearDisk helps to clean up the huge space which is being used in this folder by files you have even forgotten about. 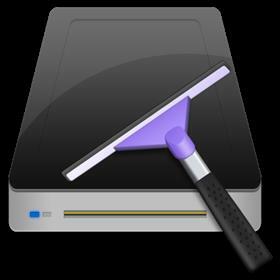 * Caches: ClearDisk cleans items stored in Cache files which eat up disk space. * Trash: ClearDisk also clears the Trash. "Empty Trash" - a simple operation, but people tend to toss things into the Trash and rarely remember to empty it periodically. 1 Scan the disk to identify the unnecessary files and display them with short explanation text..
2 Select files to be deleted.